There were twelve Futurliners built by General Motors back in 1940. These vehicles formed a traveling show called the “Parade of Progress” and each one was capable of hosting a display. 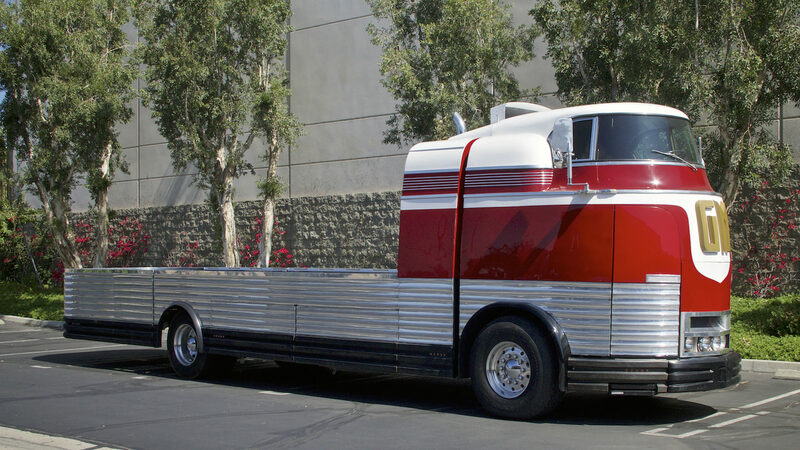 The Futurliners had a built in stage and one was later purchased and used by American preacher Oral Roberts for his evangelical crusades of the sixties. 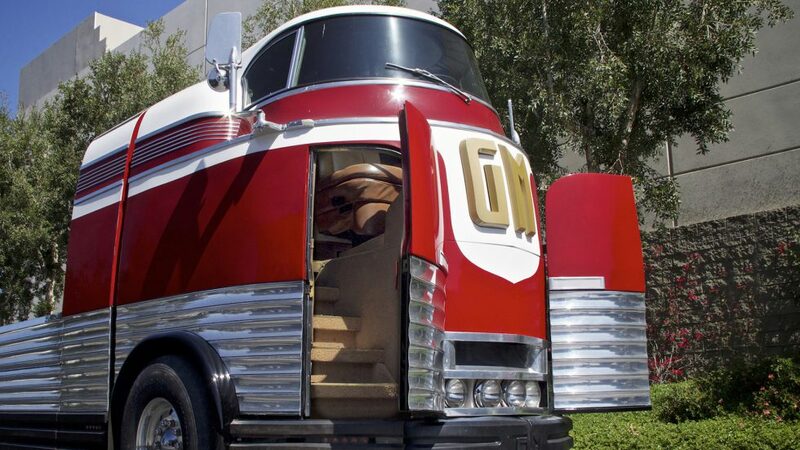 The driving cockpit of the Futurliner is central in the vehicle and about eleven feet above the ground. Initially the fleet of Futurliners traveled the country during 1940-1941 but were then put in mothballs for the duration of the Second World War. After the war in 1953 the fleet was once again re-assembled for a new round of displays between 1953-1956. The show was retired in 1956 simply because television had rendered it obsolete. When the Futurliners traveled they were normally parked around a large tent and each one featured a themed display which were originally as follows; “Miracles of Heat and Cold“, “Our American Crossroads“, “Power for the Air Age“, “Diesel Power Parade“, “World of Science“, “Energy & Man“, “Out of the City Muddle“, “Around the Farm House Clock“, “Opportunity for Youth“, “March of Tools“, and “Precision and Durability“. Futurliner number 9 served as the exhibition reception center. Originally the Futurliners were fully enclosed. 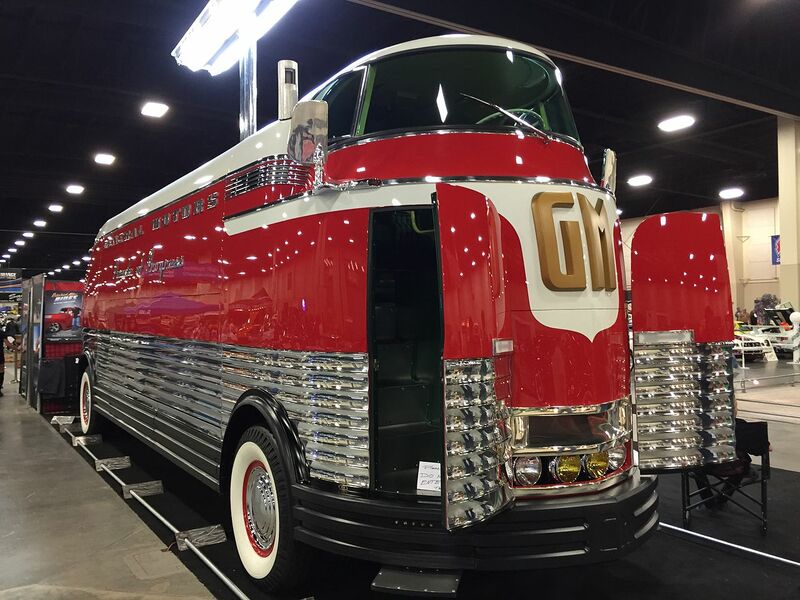 This is Futurliner number 3 which is now on display in Salt Lake City, Utah. (Picture courtesy Wikipedia). The Futurliners were built on a GM chassis, engine and transmission with a custom Art Deco body made by Fisher. Each was 32’10” long, 7’10” wide and 11’6″ high with a wheelbase of 20’8″. The driver’s compartment was situated centrally in the vehicle at its highest point so the driver would have a superb panoramic view of all around him/her. Access to the driver’s compartment was by a veritable “Stairway to Heaven” that was accessed via a door in the front. It is one of the grandest entrances to a driver’s compartment one could imagine. 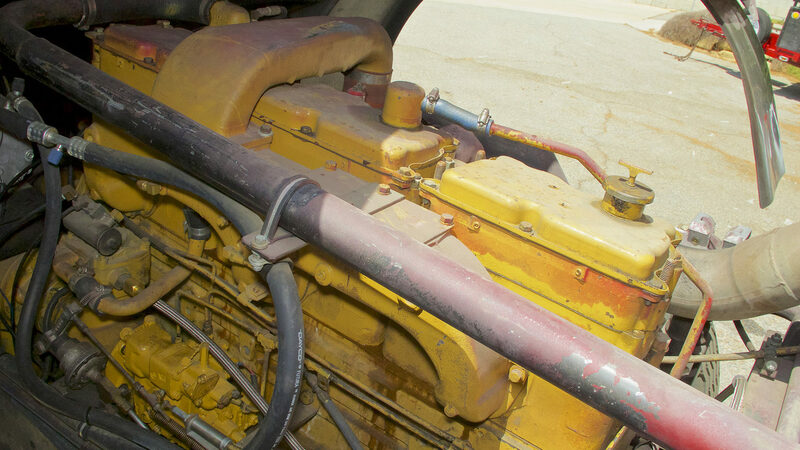 The original engine in the Futurliners was a 302 cu. in. GMC gasoline six cylinder. This modified Futurliner has a more efficient NTC 855/230hp Cummins diesel engine. 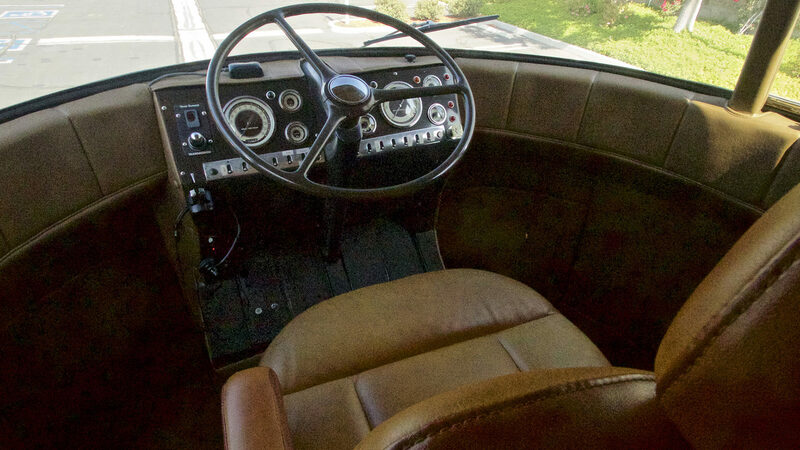 The original Futurliners were powered by a GMC 302ci six cylinder gasoline engine driving through a 4-speed Hydramatic gearbox plus a 2-speed manual gearbox. In order to haul these 30,000lb vehicles the six cylinder gasoline engine drank quite copious quantities of fuel and needed the two 45 gallon fuel tanks the Futurliners were equipped with. The Futurliners were modified ready for the 1953 show season and could make a top speed of 50mph which was about 10mph faster than in their original unmodified state. Of the twelve Futurliners one was completely written of in a crash, one was sold to Oral Roberts and was used in the United States during the sixties before being sent down to South America, and the others were sold to various people. The number 5 Futurliner was extensively modified into a flat bed vehicle transporter. Its original rear went to the restoration of Futurliner number 8 whilst it generously donated its front axle to number 10. Futurliner number 5 was re-built with a front tilt cab and was converted to diesel power with the fitting of an NTC 855/233hp Cummins diesel engine. It has thus been turned into one of the most stylish and interesting vintage/classic car transporters one could hope for. The modified Futurliner number 5 is now a very practical classic vehicle hauler with its flatbed and diesel engine. The NTC 855/233hp Cummins diesel engine is mated to a six speed Allison 600-series transmission. The new special equipment fitted includes 20,000 lb air-sprung axles front and rear, rear clamshell bed access, hidden folding hydraulic ramps, 29 foot flat bed space, air conditioning, 200 gallon fuel capacity, train horn, 12,500 watt Onan generator, and 240 volt flood lights. 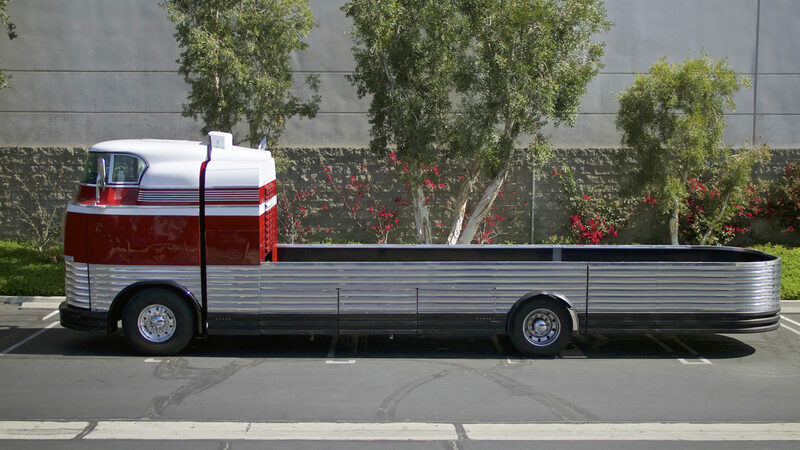 This modified Futurliner features a clamshell rear and 29 foot flat bed space. 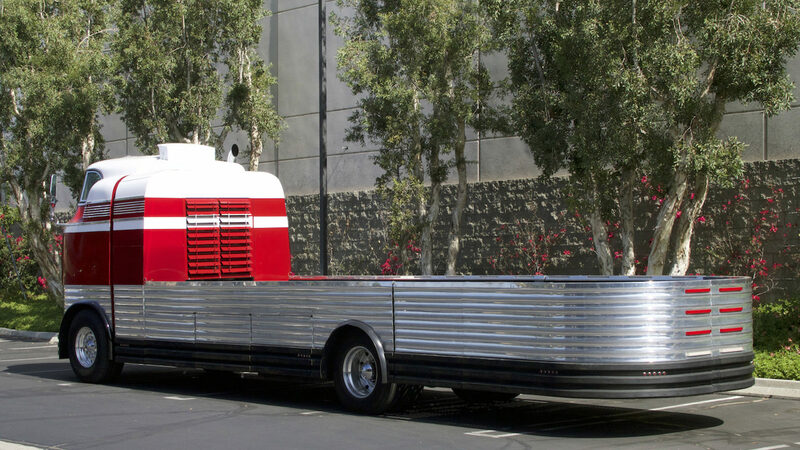 This very unusual Futurliner transporter is coming up for sale by Mecum Auctions at their Anaheim Auction to be held over 17th-19th November 2016. You will find the sale page for this classic Art Deco truck if you click here. If you are looking for a classic vehicle hauler with some history then this is a truck that is worth a serious look. With its “Stairway to Heaven” entrance it looks like it will be enormously enjoyable to own and drive.